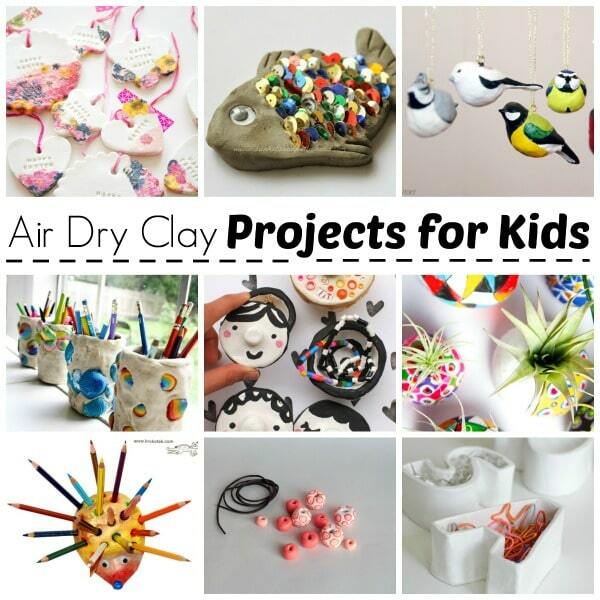 I am very excited about today’s collection of ideas – it is all about Air Dry Clay Projects for Kids (well for kids and big kids… ). 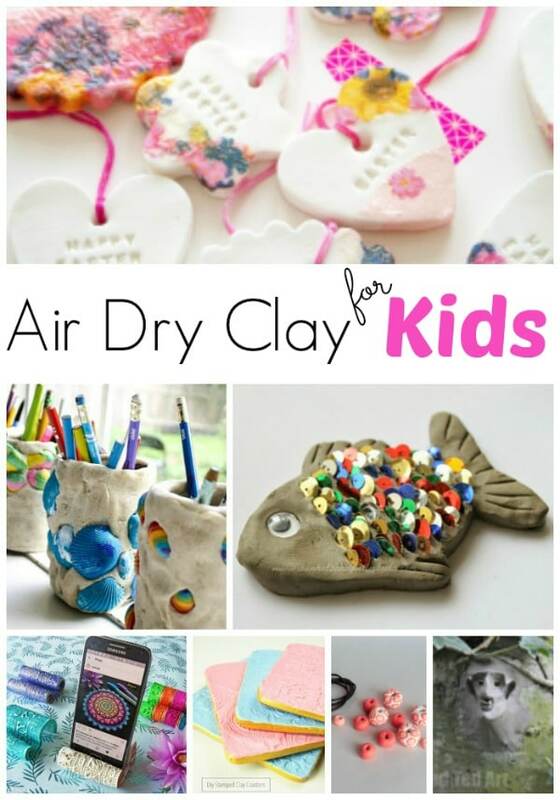 We love using air dry clay, but find it is something that many people shy away from. Yet air dry clay is inexpensive (when not buying branded clay) and versatile and there are so many wonderful things you can make. You mainly get air drying clay in brown or grey. But there are also some great (but more expensive) white clay versions. I highly recommend going back to basics and learning to use traditional grey or brown clay with the kids. 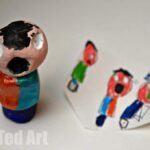 It is indeed a learning process, and no doubt mistakes (and falling apart) projects will be made, but that is what art projects are all about, right? Learning! 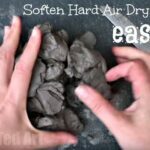 First off, we have two great “general” resources here on Red Ted Art – an article about How to soften Air Dry Clay (it is super easy, but you need time), as well as a great introduction to working with clay! So.. and now over to some projects! 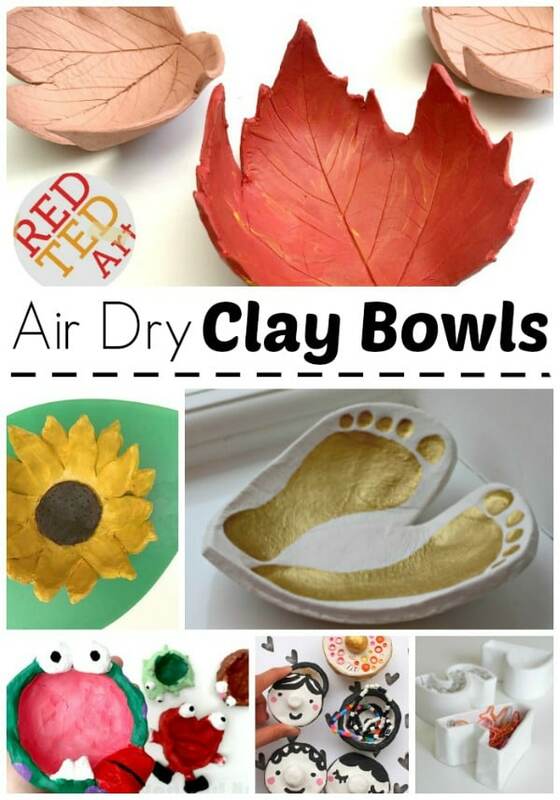 Super popular clay projects are of course air drying clay bowls. 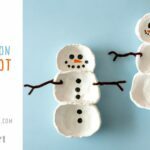 They are usually quite easy to make and are practical gifts that the kids can make and give! Autumn Leaf Bowls – we love these bowls and have made them MANY times. The article focusses on a KILN version of these bowls, but do WATCH the VIDEO, where we use air drying clay. 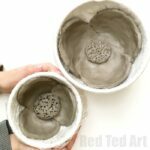 Poppy Clay Bowls – this uses a super simple technique and the results are gorgeous – perfect for Remembrance day or as a gift to Granny! 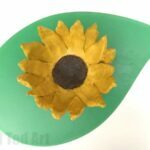 Sunflower Clay Bowls – love these bowls, but they are a little harder. 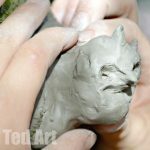 Maybe a great air dry clay project for middle school? 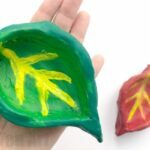 Monster Pinch Pots for Kids – pinch pots are great for kids – and you can make them with all age groups. Air Dry Clay isn’t just for pinch pots and clay bowls of course. There are so many more DIYs and crafts you can make – from Easter Ornaments, to beads and decorated Pen Pots! 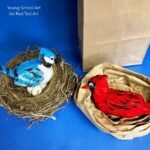 Nature Sculptures – we love heading out to nature and creating these nature sculptures. It is important that you do indeed use NATURAL Air Dry Clay for this, in order to not pollute your local environment. Lovely LEAF Fridge Magnets – they make great gifts too! Fun with Clay Snails (craft & game) – this is something we came up with on a whim.. basically having fun with some snail shells we found! Joan Miro Sculptures – learning about the Great Artists projects – a great hands on project exploring Joan Miro! 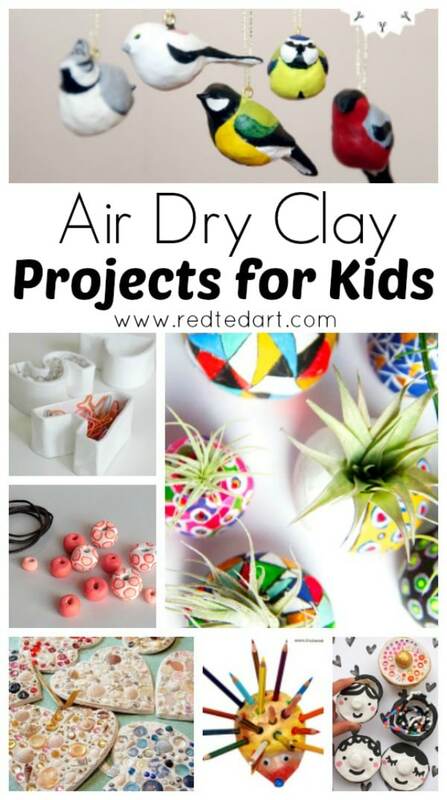 I hope you enjoyed this collection of air dry clay projects and that it has given you inspiratio to get crafty!